The Kaleidoscope event was held on Saturday at Andy Brown Park East. The event featured music, dance and food from different cultures all around the world. For Amy Swaim, every culture has a story and that’s why she volunteered for Kaleidoscope: A Celebration of Cultures. “I love how every culture has their own story, and this event just ties it in together. It shows how colorful life can be”, Swaim said. 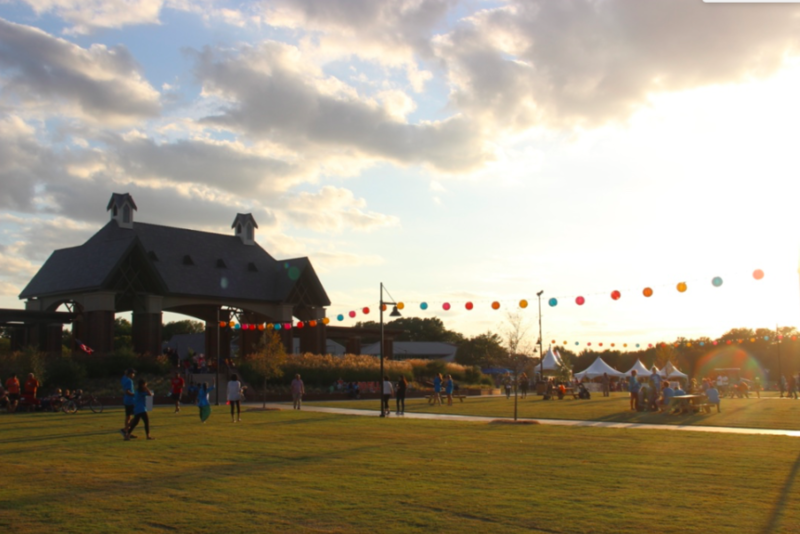 On Saturday, Coppell hosted its Kaleidoscope event at Andy Brown Park East, near the Coppell Recreation Center. The event aimed to promote and recognize other cultures throughout the world. There were various foods, dances and music featured from all around the globe. According to some attendees, this event was a perfect idea to represent various cultures from all around the planet. Sudeshna and Soumya Base enjoy a Saturday evening at the Kaleidoscope event. The event was held on Saturday at Andy Brown Park East. The event featured music, dance and food from different cultures all around the world. Coppell hosted this event for the first time this year, as citizens chose the types of events they wanted through a mass voting poll online. There was no admission fee and all ages were welcome to the event, as this was an event about culture and diversity. Dance groups, such as the Lasya Sudha Dance Academy, performed classical Indian dance called Bharatnatyam to depict old tales through dance. Students of The Lasya Sudha Dance Academy perform their classical Indian dance. The Kaleidoscope event was held on Saturday at Andy Brown Park East. The event featured music, dance and food from different cultures all around the world. There was also the Coppell Community Chorale that sung various classics from different genres. 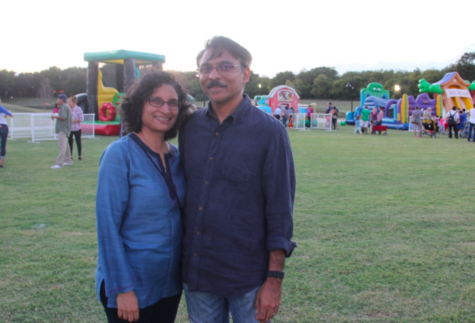 At the event, there were many activities including bouncy houses, learning about the history of Coppell and henna (temporary art, generally done on hands). There were also local food trucks that stopped by to enjoy the ambience and serve citizens. 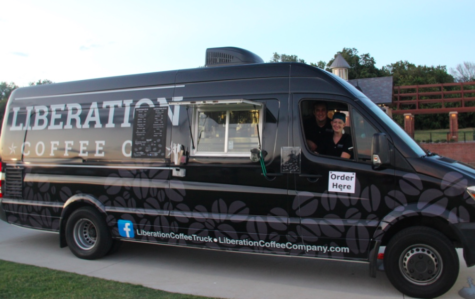 For Brolen and Jourdan Jourdan, owners of the Liberation Coffee food truck, it just made sense to come out and reach the people of Coppell. Brolen and Jourdan Jourdan sell coffee to the public during the Kaleidoscope event. The event was held on Saturday at Andy Brown Park East. 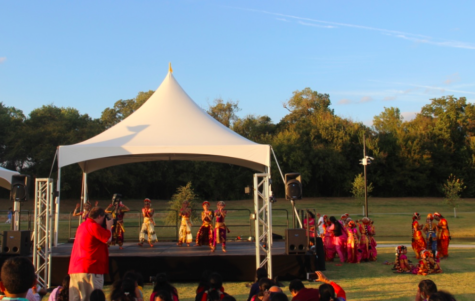 The event featured music, dance and food from different cultures all around the world. Behind the scenes, setting up an event like this came with certain difficulties and required hard work. “First we had to get council consent, then we had to get a theme for the event, we had to reserve the park, then we had to reserve a bunch of food trucks because those fly out quickly, then we had to find performers, order the decoration months in advance, then the last thing would be finding volunteers,” said volunteers [ Rachel Hardeman and Lauren Sutton. “We had to incorporate a lot of different cultures which was also difficult. The event also had volunteers who were part of the Allies in the Community program. The Allies in the Community program surveys citizens of Coppell on how to include activities like Kaleidoscope more often in Coppell. The program had 120 National Honor Society students from CISD who volunteered in the Kaleidoscope event. “There was a lot of work that went into it, but the outcome was worth it,” Allies in Community coordinator Tasnim Benhalim said.